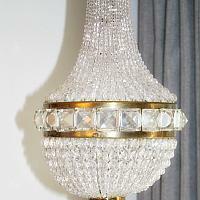 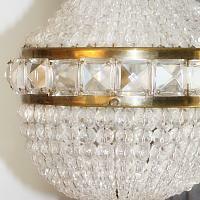 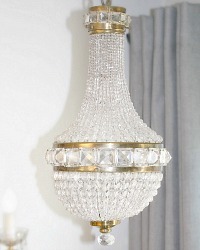 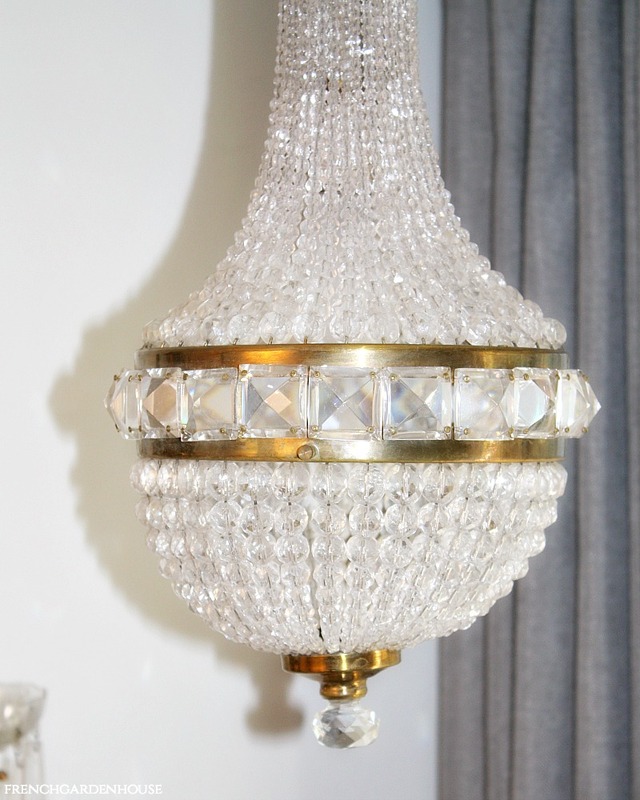 Antique French Empire Style Crystal Basket Chandelier, with hundreds of original hand polished crystal beads and square crystals that reflect the light beautifully. 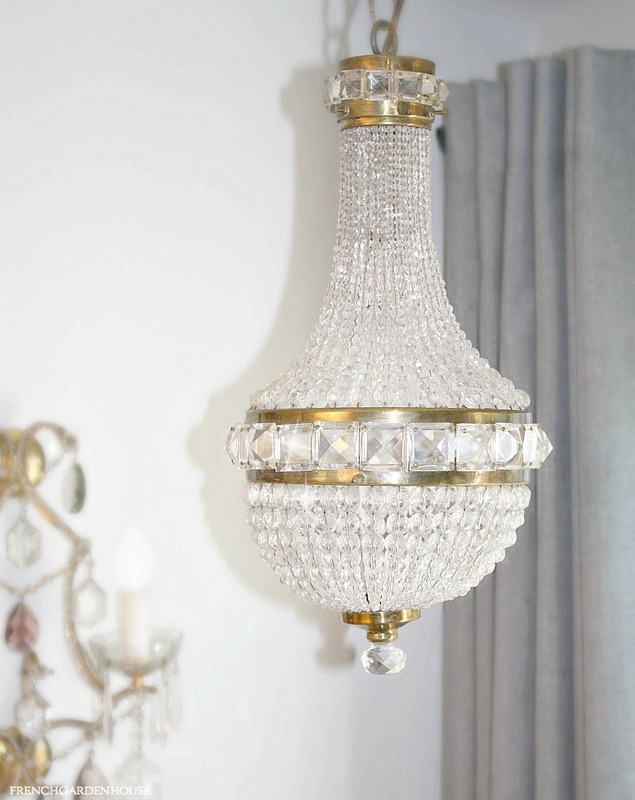 Chandeliers such as this cast a beautiful elegant light over French chateaus in the 17th century, this early 1900's (art deco era) chandelier is a rare smaller size, perfect for a smaller room, bedroom, nursery or even a guest bathroom. 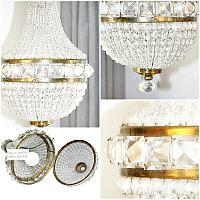 Ball room style is elegant, the gilded metal frame features large square prisms The basket bottom features a faceted glass finial for elegant decorative style, opens to make replacing the one light easy. 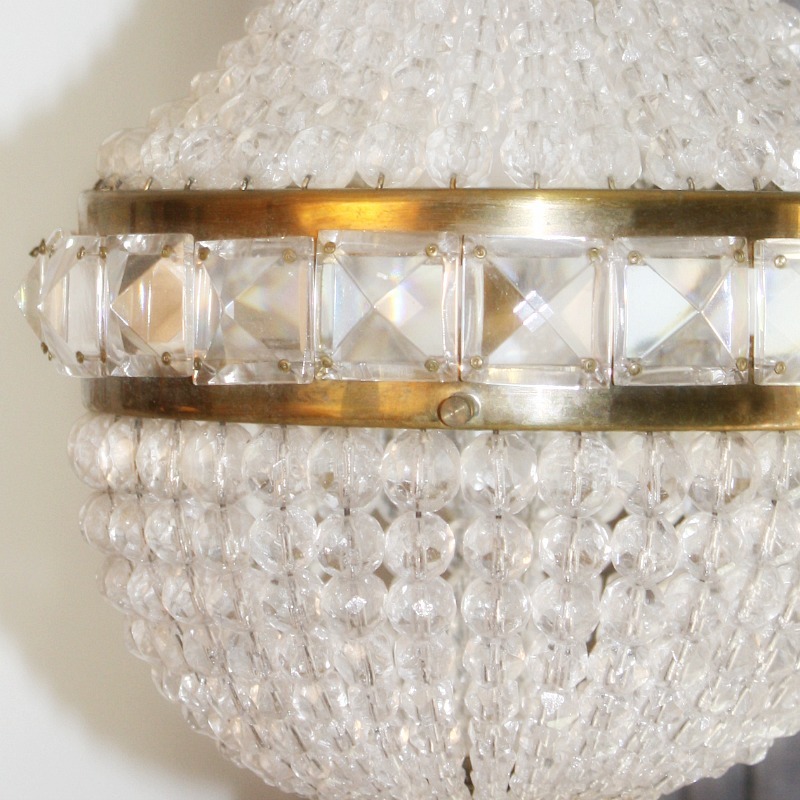 This has an ornate ceiling canopy cover, and a short original chain, needs to be hardwired to your ceiling by your electrician to current safety standards.